Midnight Oil (also known informally as "The Oils" to fans) are an Australian rock band, who originally performed as Farm from 1972 with drummer Rob Hirst, bass guitarist Andrew James and keyboard player/lead guitarist Jim Moginie. While vocalist Peter Garrett was studying at Australian National University in Canberra, he answered an advertisement for a spot in Farm, and by 1975 the band was touring the east coast of Australia. By late 1976, Garrett moved to Sydney to complete his law degree, and Farm changed its name to Midnight Oil by drawing the name out of a hat. Important to their development was manager Gary Morris who was able to negotiate favourable contracts with tour promoters and record companies and frustrate rock journalists. 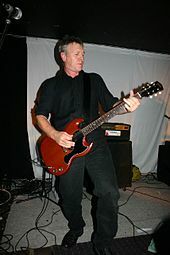 Guitarist Martin Rotsey joined in 1977 and Midnight Oil, with Morris, established their own record label Powderworks, which released their debut eponymous album in November 1978, and their first single "Run by Night" followed in December. Founding bass guitarist James, forced to leave due to illness in 1980, was replaced by Peter Gifford. Gifford was himself replaced by Bones Hillman in 1987. Through a long and distinguished career, the band became known for its driving hard-rock sound, intense live performances and political activism, particularly in aid of anti-nuclear, environmentalist and indigenous causes. Midnight Oil's albums which peaked in the Australian Top Ten were 10, 9, 8, 7, 6, 5, 4, 3, 2, 1, Red Sails in the Sunset, Species Deceases, Diesel and Dust, Blue Sky Mining, Scream in Blue (Live), Earth and Sun and Moon, Breathe, 20,000 Watt R.S.L., Redneck Wonderland, The Real Thing, Capricornia and Flat Chat. Australian Top Ten singles were "Power and the Passion", "The Dead Heart", "Beds Are Burning" and "Blue Sky Mine". 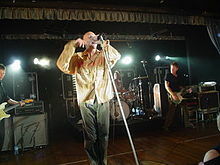 Aside from chart success, both "Power and the Passion" and "Beds Are Burning" were listed by Australasian Performing Right Association (APRA) in the Top 30 best Australian songs of all time in 2001, a chart in which Midnight Oil are the only artists to feature twice. In December 2002, Garrett announced that he would seek to further his political career and Midnight Oil disbanded. But they would reform for two warm-up shows in Canberra leading up to their performance at one of the "Sound Relief" charity concerts, in honour of the victims of the 2009 "Black Saturday" fires in Victoria and floods in Queensland. In 2010, their album Diesel and Dust ranked no. 1 in the book The 100 Best Australian Albums by Toby Creswell, Craig Mathieson and John O'Donnell. In 1971, drummer Rob Hirst, bass guitarist Andrew James, and keyboard player/lead guitarist Jim Moginie were performing together. They adopted the name "Farm" in 1972, and played covers of Cream, Creedence Clearwater Revival and Led Zeppelin songs. They placed an advert for a band member and Peter Garrett (ex-Rock Island Line) became their new vocalist and synthesiser player, and began introducing progressive rock elements of Focus, Jethro Tull and Yes, as well as their own material. Garrett was studying at Australian National University in Canberra, so Farm was only a part-time band. They played for the northern Sydney surfing community, and by 1975 the band was touring the east coast. In late 1976, Garrett moved to Sydney to complete his Law degree. Farm then became a full-time group and changed its name to "Midnight Oil" by drawing a name out of a hat, leaving behind "Television," "Sparta," and "Southern Cross." Midnight Oil came from the Jimi Hendrix song, "Burning of the Midnight Lamp." a kind of antipodean pub rock version of Queen [...] life-denying, sexist, secular and bigoted [...] endless touting of Australia and all things Australian. In retaliation, Morris banned Elder from Oil's shows permanently. Elder later recanted, describing them as the only Australian band to have developed a truly Australian sound. On 4 May 2016 it was posted on the band's website that Midnight Oil could be reforming and touring again in 2017. In February 2017, the band announced it would embark on The Great Circle 2017 world tour starting in Brazil in April 2017. Their first show of the 2017 reunion was at Marrickville Bowls Club on 9 April, ahead of the official kickoff 13 April. In May 2017 they returned to the USA for the first time in 20 years, with tickets for all shows sold out. ^ Merline, Michael (1 May 2013). "Midnight Oil: Essential Oils". Archived from the original on 13 July 2013. Retrieved 2015-09-27. CS1 maint: BOT: original-url status unknown (link) . Spectrum Culture. ^ a b c d e f g h i j k l m n o p q r s t u v w x y z aa ab ac ad ae af ag ah ai aj McFarlane, Ian (1999). "Encyclopedia entry for 'Midnight Oil'". Encyclopedia of Australian Rock and Pop. Allen & Unwin. ISBN 1-86448-768-2. Retrieved 20 October 2008. ^ a b c d e f g h i j k l m n o p q Holmgren, Magnus; Stenerlöv, Carl-Johan. "Midnight Oil". Australian Rock Database. Passagen.se (Magnus Holmgren). Archived from the original on 27 September 2012. Retrieved 12 February 2014. ^ a b c d e f g Jenkins, Jeff; Ian Meldrum (2007). Molly Meldrum presents 50 years of rock in Australia. Melbourne: Wilkinson Publishing. pp. 21, 82, 237–241. ISBN 978-1-921332-11-1. ^ a b Fricke, David (2004). "Midnight Oil Biography". Rolling Stone. Archived from the original on 25 July 2008. Retrieved 21 October 2008. ^ a b Kruger, Debbie (2 May 2001). "The songs that resonate through the years" (PDF). Australasian Performing Right Association (APRA). Retrieved 20 October 2008. ^ "The 100 Best Australian Albums | triple j". Australian Broadcasting Corporation. 28 October 2010. Retrieved 2011-07-09. ^ Verrender, Ian (14 September 1996). "Is anyone listening?". Sydney Morning Herald. Retrieved 22 October 2008. ^ "Midnight Oil: a band with a conscience". BBC. 11 February 2005. Retrieved 23 October 2008. ^ "Long Way to the Top Peter Garrett entry". Australian Broadcasting Corporation (ABC). 2001. Retrieved 24 October 2008. ^ a b c Brumby, John (24 February 2009). "Artists Unite For 'Sound Relief' Bushfire Benefit – Premier of Victoria, Australia". Premier of Victoria. Retrieved 25 February 2009. ^ "Midnight Oil Kick Off Reunion With Surprise Syd Pub Show". theMusic. 10 April 2017. Retrieved 24 April 2017.